State Duma committee backs bill on certain prison conditions for terror convicts | Russian Legal Information Agency (RAPSI). MOSCOW, December 4 (RAPSI) – The State Duma Committee on State Building and Legislation recommended during its Tuesday session that the lower house MPs adopt a package of bills to prevent the spreading of radical extremist ideologies in places of confinement in the first reading, a statement published on the committee’s website reads. According to amendments proposed to the Russian Criminal and Penal Codes, persons sentenced for terrorism would serve some time of their punishment in prisons instead of penal colonies. Ward treatment, it is believed, will help to minimize the spread of extremism among convicts and the scale of their recruiting to terrorist organizations when in confinement. 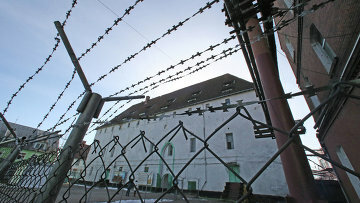 The authors of the bills envisage that terrorism-related offences should be put on the list of especially dangerous crimes punishable in certain cases with confinement in prisons, whereas for gravest crimes of this nature there should be established a statutory rule envisaging service of the greater part of the term of sentence in prison.